Didn’t get enough riding done this summer? That's a silly question, you can NEVER get enough riding in! Still, winter typically comes on fast in the Okanagan - you’re never ready for that first snowfall and the immediate trail shut down that comes along with it (unless you’ve got a fat bike). Fly south to warmer climates with your bike in tow and satisfy that shoulder season riding itch! When flying with your bike, you could do a lot of damage if your ride if it isn’t packed properly. 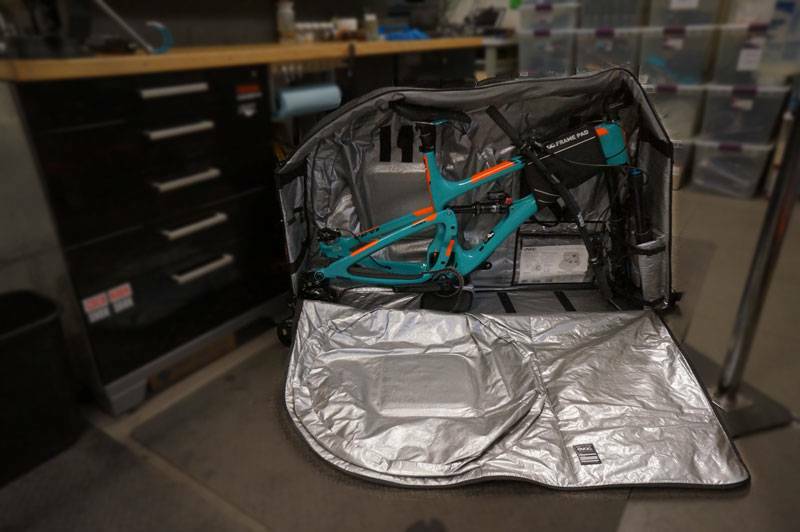 A cardboard box will do the trick, but you’re asking for cosmetic and potentially mechanical damage to your bike going that route. 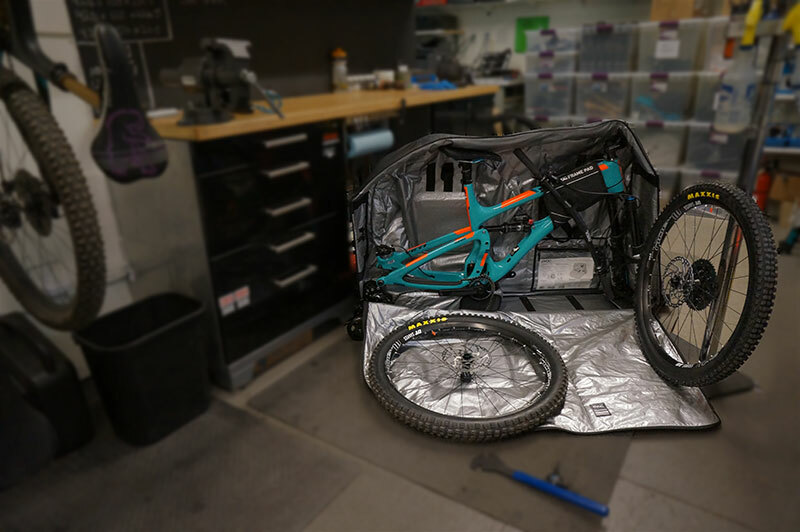 Baggage handlers are notoriously rough on heavy, oversized luggage, so your best bet is definitely a high quality travel case for your bike. 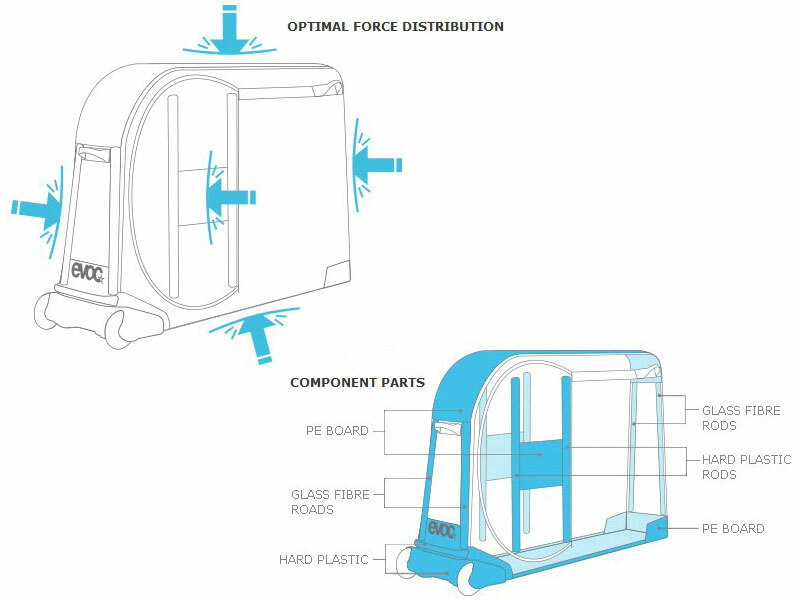 There are couple of considerations when buying a travel case; they are an investment, averaging $600, and they take up storage space when you’re not using them. That’s why (in addition to selling them) we offer bike travel bag rentals at Sovereign Cycle! 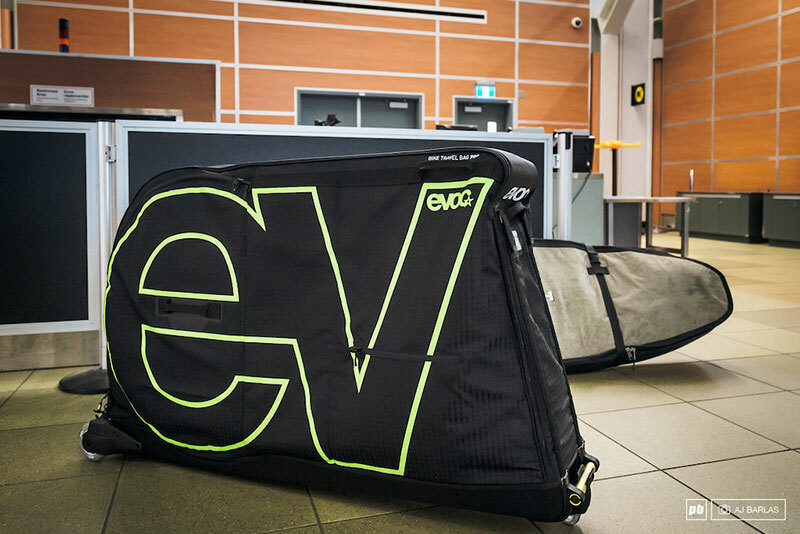 $100/week* gets you a high quality EVOC bike travel bag that will protect your precious steed and make sure it’s still in perfect working order when you get to your destination - wherever that may be. Need some travel ideas for the winter? Check out Sovereign rider Jillian Thatcher's recent ride diary; she booked it to Sedona, AZ! You could also look up Sacred Rides - they offer a ton of packaged mountain bike tours world-wide. They’re organized to a tee, so all you have to do is show up and ride! Rumor has it, Revelstoke based Wandering Wheels is also planning to offer organized guided rides for 2018. Tibet, Nepal, Spain....Tanzania anyone? !